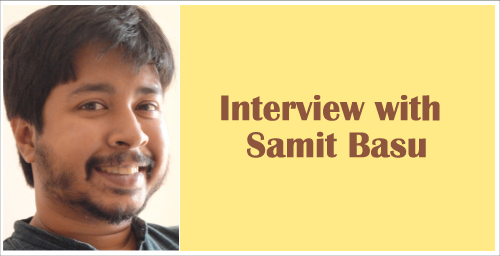 Samit Basu, an Indian Blogger and author of Gameworld trilogy interviewed. Q: Your first blog was called ‘Duck of Destiny’. What was that title about? A: It was the name of a ship in my third novel. I had thought of the name and wanted to put it down somewhere – I’d started blogging while writing my second novel, and it would be a while before I could write about the Duck of Destiny anywhere else – and the blog seemed like a fun place to put the name down. Q: When did you first realize that you wanted to be a writer? What do you consider your first real writing experience? A: I think I’d always wanted to be a writer, but that’s not something you really see as a career – at least it wasn’t for my generation. I think going to IIM-A and realizing I wasn’t cut out to be a corporate giant also gave me the swift kick in the pants I needed. It was a long time ago now, but I realized that there was simply no point doing something I didn’t want to for a living, and spending my life wondering what it would have been like to write. Q: Tell us a bit about your new book ‘Turbulence’ and the experience of writing it. It was a very fun book to write. I started off wanting to write a book about the things Indian writers are supposed to write about, but the more I wrote about contemporary Indian reality, which is very over-the-top and larger than life, the more I realized that I’d have to really turn up the volume on my characters if I didn’t want to lose them in the chaos that is our everyday existence. Which is where their superpowers came in. Of course, these powers are all related to what the people who got them wanted most in life, so in the end it’s still about a bunch of very real people, and a book that’s very deeply set here and now. Q: Your comics and books make you a celebrity in your own right. But you also retain a very accessible persona. How do you manage these? A: I’m not a celebrity. No writer really is. In India, Bollywood people, TV people, business tycoons, cricketers and politicians are celebrities. Which is ok, really. Maintaining accessibility is really not a big deal either. I enjoyed blogging very much when I blogged regularly (and I’ve been planning to take it up seriously again for a while now) and now I find time for social media not because I think there’s any kind of profit to be made, but because I genuinely enjoy these media. And of course interactivity is a key feature, and you can’t really experience blogging or social media unless you have conversations with people in the process. Q: You have a background in broadcasting and film-making. Have you considered podcasting or blogging? A: I have. These plans have fallen through because they’d involve more time management than I’ve been capable of thus far, but I hope to change this. I haven’t even been blogging properly for the last three years, mainly because I’ve been doing a fairly crazy amount of writing in books, comics and film, and I’ve reached a point where if I have free time, the last thing I want to do is write more. So the energy that went into blogging is now dissipated through things like Twitter and Facebook, where you can just say one really short thing and you’re done. I have been clearing up my works late, though, and left with a fair amount of free time I know I’ll start blogging again. It’s really fun. Q: You’ve experienced the worlds of journalism, book-publishing and blogging. How seriously do you think bloggers should be taken, as writers? A: Very seriously. And it’s not really a question of what I think – it’s happening all around us, all over the world. I don’t read as many blogs as I used to when I was a part of the community, but clearly publishers have been reading blogs and picking up good bloggers to write books for a few years now, even in India. Amit, Meenakshi, Sidin, Arnab, the IPL guy. And now Jai as well. I know of several other people who blog who’ve been approached by publishers. I approve of this thoroughly, and hope it continues. 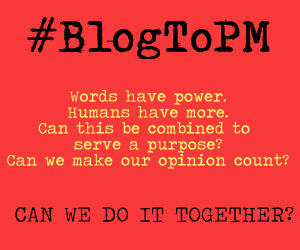 New voices, fresh voices, interesting voices – blogs give us these, and will continue to do so. Q: From your experience with writing novels, comics and blogposts, can you contrast and compare styles, challenges and your own preferences? A: Writing novels is more fun than anything else, because it’s completely unconstrained – in comics and film screenplays, there are many other people involved, so those are a lot more about writing discipline, collaboration, and working within established frameworks, trying to do whatever you can within the very clear boundaries of those media. So writing for film and comics is really an exercise in trust – you’re a part of a team. And when the final work is better than anything you could have come up with on your own, it’s more than worth it. With novels, it’s a lot more work, clearly, because no one is going to take the ball and run with it if you falter, but there’s also no possibility of anyone else messing things up, which is often a good thing. So, yeah, writing books is the most fun form of writing, but writing comics teaches you most about structure, discipline and trust. Screenplays for films are somewhere in between. As far as blogposts are concerned, I’ve never really written fiction for the blog so I can’t compare. Q: Last year you organized a novel-writing race on Twitter. Can you tell us more about NovelRace – why you conceptualized it and how the experience was, for you? A: It wasn’t something I planned extensively. It was something I suggested to a friend who was working on a novel at the same time that I was writing Turbulence. I knew he had problems staying on his writing and tended to drift off and not write for long periods, and I knew how long it would take me to write this book, since I’ve done this a few times now, so I offered to race him. I did this on Twitter, and before any of us knew what happened there were deadlines and rules, more than a hundred people who also wanted to race us and write novels, some lovely young people voluntarily put up a site and a leaderboard, and there were articles in newspapers as well. NovelRace wasn’t a world-changing exercise – it was something that writers could use to inspire themselves to write more, basically using the twin incentives of envy and the innate Indian competitive spirit. Q: You have co-written a comic with X-Men and Lucifer writer Mike Carey. What are the differences between Indian Comics and International comics? How do you plan to bridge them? A: The primary difference is that comics in the West and East derive from a tradition that goes back many decades, and Indian comics are still trying to find their feet. So we’re still well behind global standards in pretty much every aspect. This’ll even out over a few years, hopefully. There’s nothing specific that I’m planning to do about it except write more comics and hope they’re good. A: Just read a few books I’ve been wanting to for a while: Suzanne Collins’ Hunger Games series, Joe Abercrombie’s fantasy trilogy, David Mitchell’s latest. Don’t bother getting my take on them, just read them all. It’s good to get back to reading; I hadn’t been reading for many months because I was either writing or book-touring for the two books that came out this year. Q: Have you ever experienced writer’s block? Or blogger’s block? What do you do then? A: Not really. Sure, there are days when writing is harder, but that’s true of any job. When writing isn’t happening, I do something else for a while until I’m eager to write again. It helps, though, that everything in life is research, so I’m effectively working all the time. A: It’s very important, but no, I don’t respond to all comments, only the ones that I find interesting. A: The people who land up from far away and stick around. 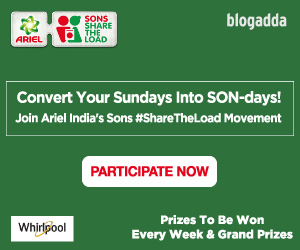 @sidin: Blogger/columnist/editor at Mint. Author of Dork: The Incredible Adventures of Robin ‘Einstein’ Varghese. Cubiclenama-ist. A: If you build it, they will come. A: No, and I don’t know, alas. A: I can’t draw. So, no. Color: Standard human colours, I guess. My eyes are brown. Movie: It is extremely unlikely that I will ever be in a movie. TV Show: I have written material for a TV show, but I am ashamed of it and never discuss it. Time of Day: It is currently past midnight but I have promised to deliever this by morning and I shall. Anyway, all offsite links are dead. Please check them.